Brightly lit, video monitored private lot with plenty of space to guarantee you will never be without a spot. We offer live music every Friday evening from 8:30 until Midnight. The acts that perform at Stevens' provide professional entertainment that will not interfere with your conversation. From Funk to Motown to Blues & Jazz, we strive to keep it fresh and exciting for our guests. We offer 2 private rooms for you to host your event with style and confidence. Wether its business or pleasure we ensure your event will be a success that will keep your guests talking long after they walk through our doors. Our Wine Room features wine racks from floor to ceiling providing an elegant atmosphere which can accommodate as many as 22 guests. Our Loft offers the amenities that you and your guests will find comforting. The Loft features an open ceiling, stylized seasonal decor, private bathrooms, private bar and enough room to accommodate 100 of your dearest guests. A/V equipment is available upon request. 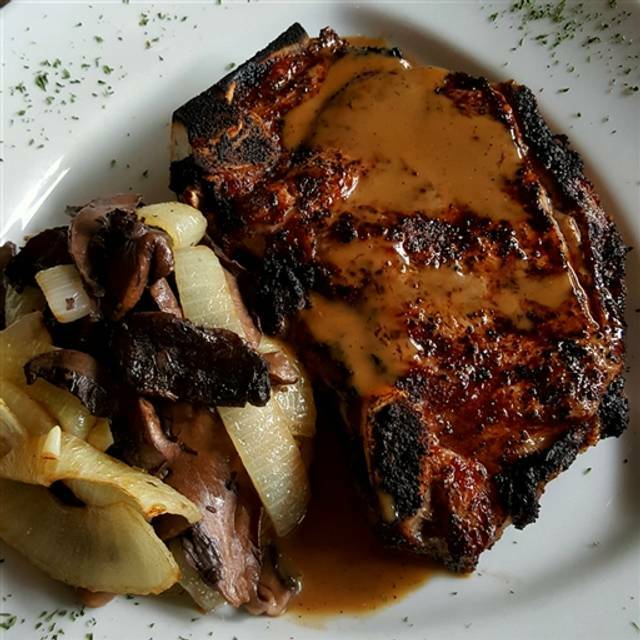 We are a family owned and operated steakhouse with a warm, comfortable setting close to home. 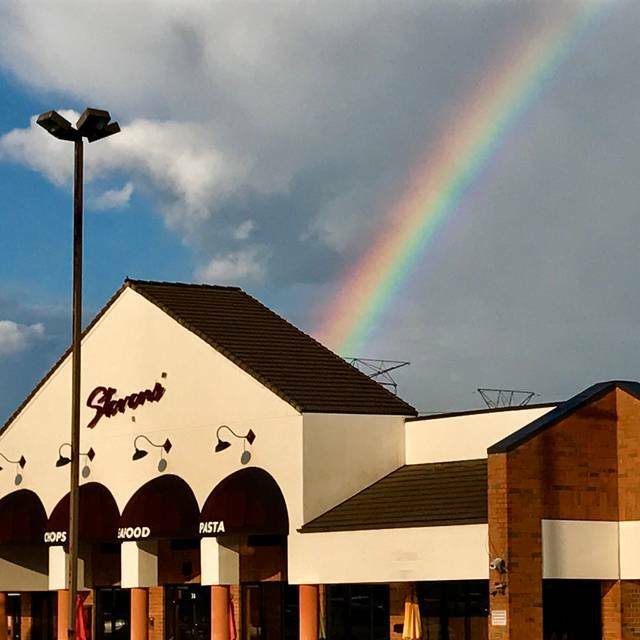 From our wide selection of finely aged steaks and chops to the freshest seafood, extensive wine, craft beer and martini lists and a staff ready to serve you, Stevens' is the perfect place for you to relax and enjoy. Whether you seek a quiet evening for two or a night on the town with your friends and family we will be honored and ready to accommodate your every need. We are very proud of the food and drinks we serve at Stevens' but it is our staff and the amazing service they provide that sets us apart from the competition. Each and every time you walk through our doors you will be greeted and treated with the utmost respect and attention. Welcome to the family. Another great visit and experience at Stevens. Had the Halibut that was on the specials and it was fantastic. Stevens has never been anything but delicious with great service and yumm cocktails. Food was very good and the server was amazing! Great experience - would highly recommend Stevens'. I love the relaxed feel of this place and will I definitely return to try more dishes. The house special crab-brie soup is a must-try. Everyone loved the special fish fry - not the ordinary you'd expect. The cornflake coating was a clever twist. Drinks are always delicious. Service was well-timed and friendly, topped off with a perfect creme brulee and white fudge-banana cake. Don't miss Stevens! It was our anniversary. Waitress brought us a cake without us saying anything. Very nice touch!! 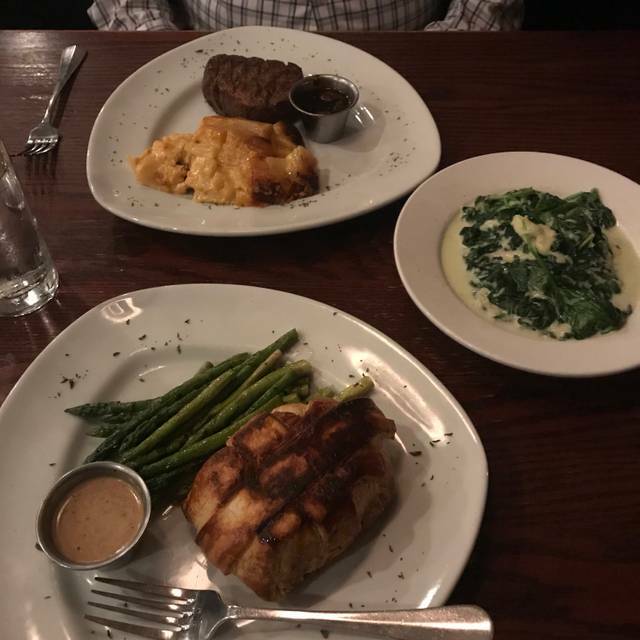 I always have delicious meals at Stevens, and it is the restaurant of choice for when I have company in town and we go to dinner. The food was amazing from the crab and avocado tower to the creme brulee. Amazing service as well. This is our new favorite restaurant! The food is always fabulous and so was the service. We had a reservation. Our table was waiting for us. The food was delicious as always!!! Every time I go here it's a great dinner. The steak was great as always and the Potatoes Au Gratin are the best! 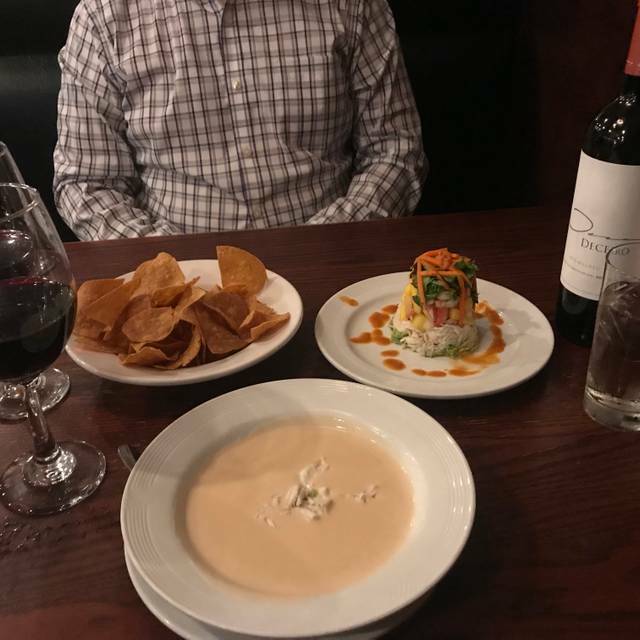 When we wanted to share their amazing crab brie soup, they even put it in two different bowls for us. Excellent from start to finish. Look forward to going back. We had a wonderful dinner, absolutely delicious and the service was outstanding! We highly recommend this restaurant! 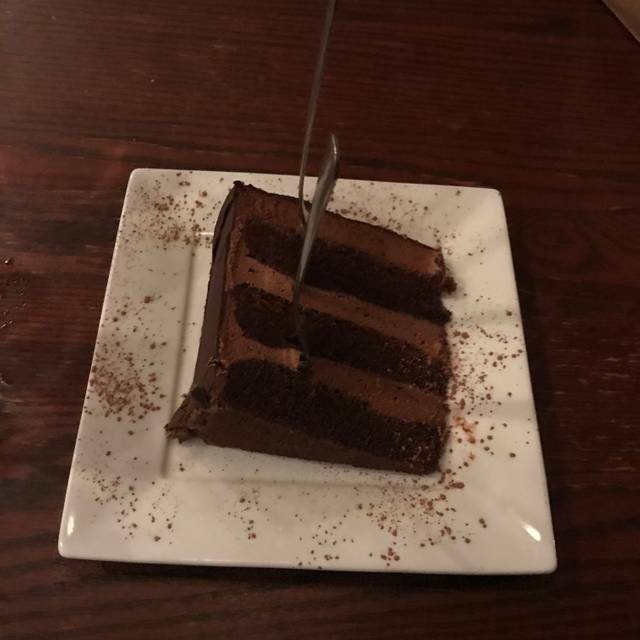 They surprised us with a complimentary anniversary dessert of chocolate layer cake with ice cream and it was wonderful! Absolutely. We don't live in the area but when in the area ALWAYS have at least one meal at Stevens'. This is one of my husband and my favorite get away restaurants! The food is always amazing, the staff is nothing short of superb! Another wonderful experience at our favorite place. Overall, not a great experience. Our last visit was great. This time, the waiter was not attentive. It took much longer to get drinks and refills than normal. Our glasses were all dry - water, wine, drinks for a long time. We had to flag him down. He did not put the appetizer order in. The entrees were good/average. Not sure I will be back. Girls group birthday celebration! We come every year! Great place! Food was wonderful. From the hazelnut encrusted snapper to the filet. The vegetables were cooked perfectly. The crab brie soup is scrumptious. Good bread. Desserts are heavenly. A must trying for the area! Had dinner with my husband on Sat. night to celebrate our anniversary and we had a great time! This was our first time going to Steven’s and it will definitely not be our last. Atmosphere was quiet and lovely. We were treated to a complimentary drink and dessert to celebrate the occasion. Server was very friendly and everyone made us feel special. My husband ordered the ribeye steak and I had the chicken parm. Both were delicious! Been by this place for sooo many years. Saw the high rating on OT and decided to go for special event. The service was excellent. No helicoptering but there was always someone coming by when a plate was empty, water needed filling, bread was eaten, etc. First contact with waiter Brian was prompt. Drinks were prompt. Appetizer was prompt. Main course was prompt and cooked properly. Visit was for dinner at 5:30 on a Saturday. Even at that early time, place was 3/4 full but everything was operating smoothly. There are some expensive items on their menu but also items in $20 range. Will go again. Making reservations through OpenTable was effortless. The dinner was fantastic with excellent service. We highly recommend this dining experience. As always, the food was fantastic and the service spot on. I wasn’t a huge fan of the band. Bar seemed to clear out much faster than the past two Fridays. Stevens is a weekly go to for us. 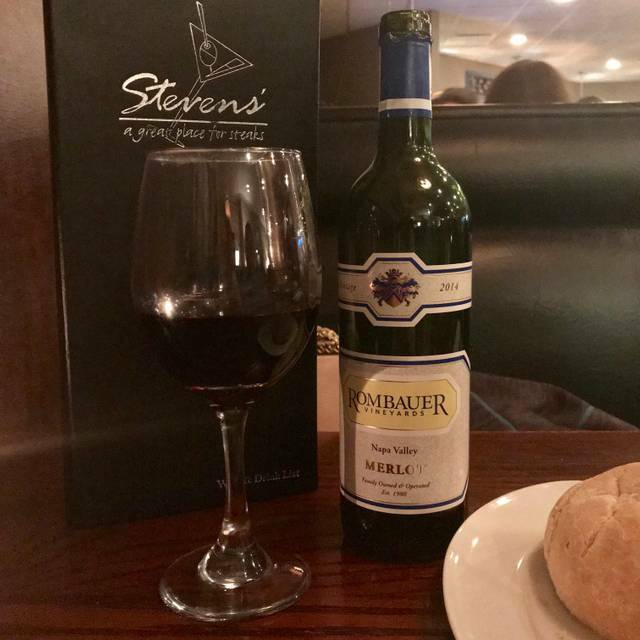 I highly recommend Steven's Steakhouse. The food and service is excellent. Go there for a real treat of a meal. All apps and entree's are the prime examples of any dish they serve. This place will become the standard you'll judge everything else by when you dine. Eat there! I couldn't tell you how impressed my best dates were when we would go here. The staff is made up of lifers who are experts at their craft. This was one of the best establishments that I've eaten in years. 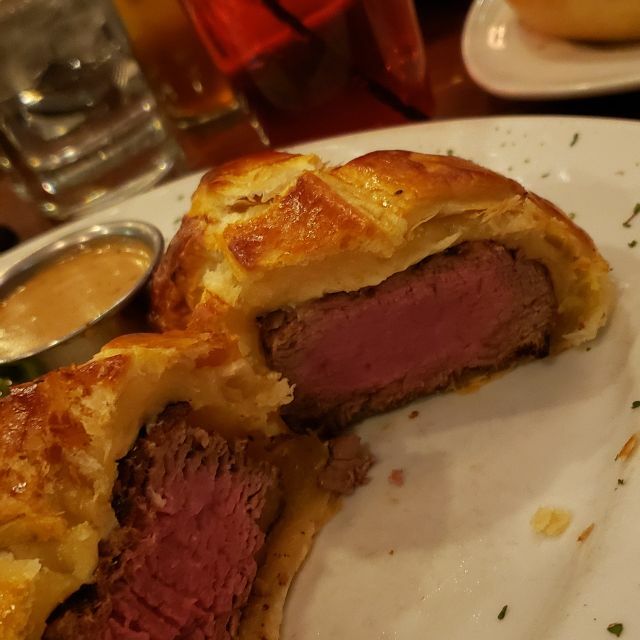 I had my first Beef Wellington. The bar has been set high. Four of us met for lunch. All seemed to enjoy their meals, and we all had something different. Service was good. Since there were a few empty tables, and no one waiting to be seated, we were not rushed, and were able to sit and talk for awhile, which is much appreciated. Outstanding as always from start to finish. I have all my birthdays here. The food, the staff, everything was amazing. The crab tower was delicious and the Beef Wellington was superb. I will always return. So close to home yet felt like we drove to the city for such great atmoshphere and food. Always good food and service. A great place that we go to frequently. Food and service is fabulous. The décor is pleasant. Stevens' is my new favorite restaurant. A terrific experience. It started when my wife and I walked in the door and the hostess wished my wife a happy birthday; followed by the young lady who seated us; and the waiter upon arriving at our table. I ordered the Prime Ribeye and it was far and away the best steak I have EVER had. EVER. Tender. Tasty. Cooked perfectly. And the sides ... great selection and very tasty. 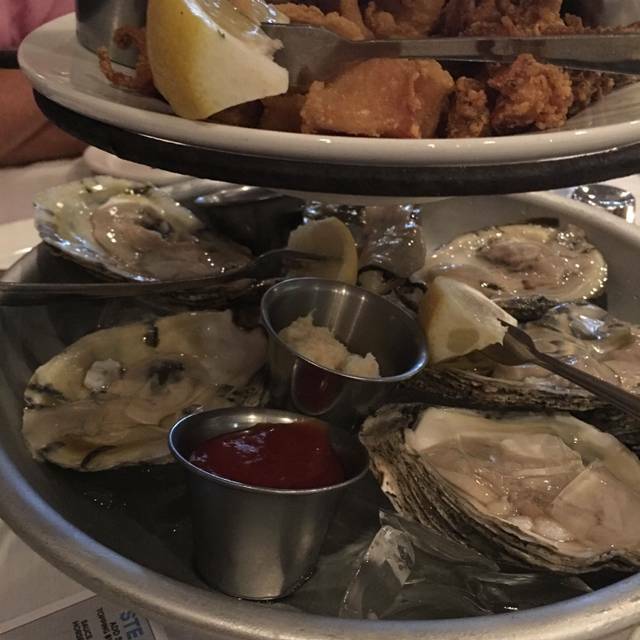 The service was first class: drink, appetizer and dinner order taken right away; waters never more than half empty; and empty plates removed almost immediately. I would be hard pressed to identify any facet of our experience that did not exceed our expectations. First time. Early dinner at 5:30. By the time we left at 7:00 place was packed. It got a bit loud but not annoyingly so. Fabulous food. Nice menu. Wait staff very attentive. A bit pricey. A-la-carte, but I’ll definitely go again. Birthday celebration. We were in town for a Great Lakes Naval Base graduation and had dinner here the night beforehand. Food was excellent, bar tending was outstanding and our server was a hoot. This place is a local gem! This place is always a gem. Start with the Crab Brie soup.....it’s the best. I paired it with salmon this time, but have had many other things here. All top notch. The food is always consistent and good. The service was great, very attentive. Brad, (owner/manager) always makes a point of checking on us. We enjoyed the 'restaurant week' options. The tables were set tooooooo close to the booths as waiters continually seemed to bump into the person sitting by the aisle. 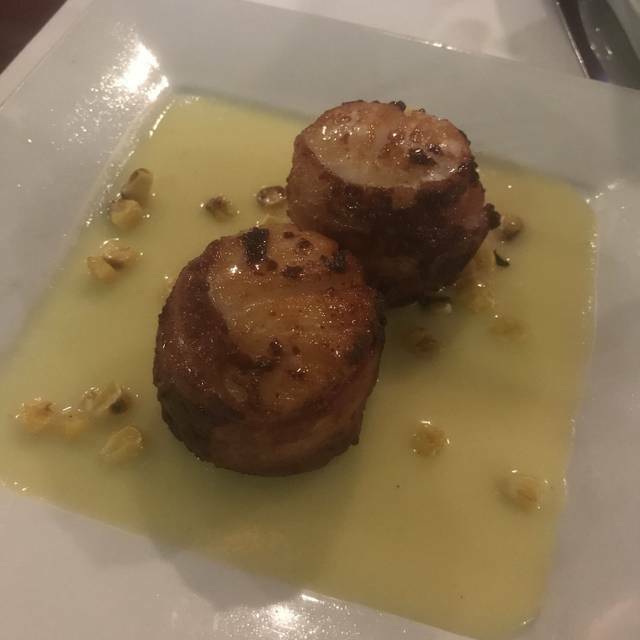 Impeccable service, delicious dishes, classy cocktails - a perfect dining experience on a Friday night after a long work week.